As the year comes to an end and another starts, we are going to say Happy Birthday to Dean Don McLean, whose birthday is on January 1! 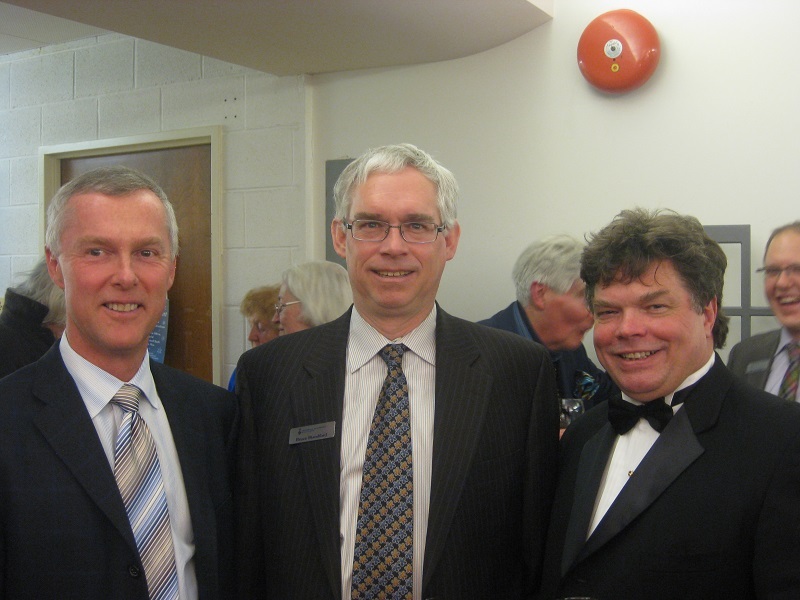 The Faculty of Music welcomed Dean McLean with a UTSO and MacMillan Singers concert on February 5, 2011. The program culminated in Beethoven’s Symphony no. 9.
and Bruce’s partner Ron Atkinson, February 5, 2011. Trained in piano performance and pedagogy, coaching and accompanying, conducting and composition, musicology and music theory, Don McLean is a three-time graduate of the University of Toronto and a two-time graduate of the Royal Conservatory of Music, and taught for both institutions from 1978–1989. 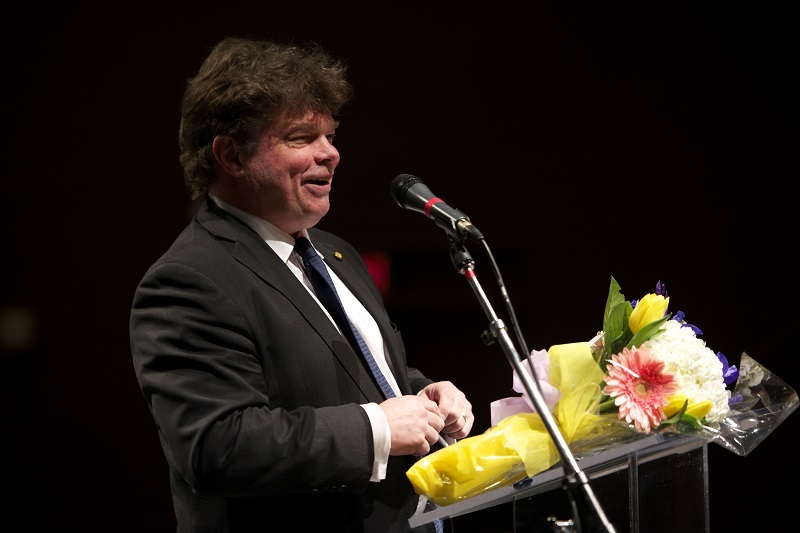 In 1988, he moved to Montreal and McGill University, where, as Dean of the Faculty from 2001–2010, he played key roles in strategic expansion of faculty and programs, the creation of CIRMMT (Centre for Interdisciplinary Research in Music Media and Technology), the realization of the New (now Elizabeth Wirth) Music Building (a world-class research, performance, and library facility), and, through a transformative gift from Seymour Schulich, the naming of the Faculty as The Schulich School of Music of McGill University. During his time as Dean of the Faculty of Music, he has overseen the creation of the Music and Health Degree Program, the Music and Technology Degree program, the Digital Media at the Crossroads conference, and the Faculty’s first Strategic Academic Strategic Plan in decades. You win a free lunch! I know lots about Beethoven! All contents copyright © 2018 University of Toronto. All rights reserved.